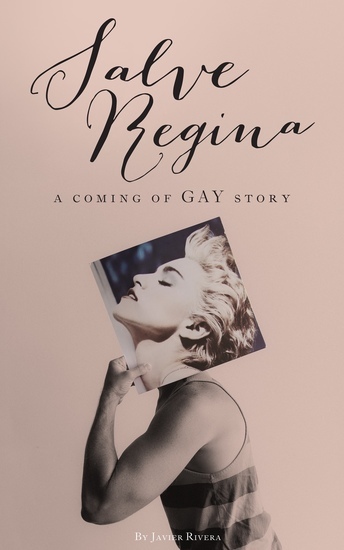 SALVE REGINA: A Coming Of GAY Story is my way of reaching out to 8 year old me, and assuring him that things will be all right…which is a feeling I was not familiar with at that age. I was terrified of burning in hell for being gay—not being poetic here, I truly believed I was going to fry. All signs pointed to me not having a very happy ending. So I latched on to the music of Madonna, and all of a sudden I felt empowered, in control, and overcome with an overwhelming desire to…dance. She DID make my life a happier place to live in. To my audience members, I hope you hold-on tight to those things that inspire you, and bring a smile to your face; let go of anything that makes you question your worth and your place on this planet. It does not matter whether you can cut a rug or have two left feet…you can still be the life of the party.